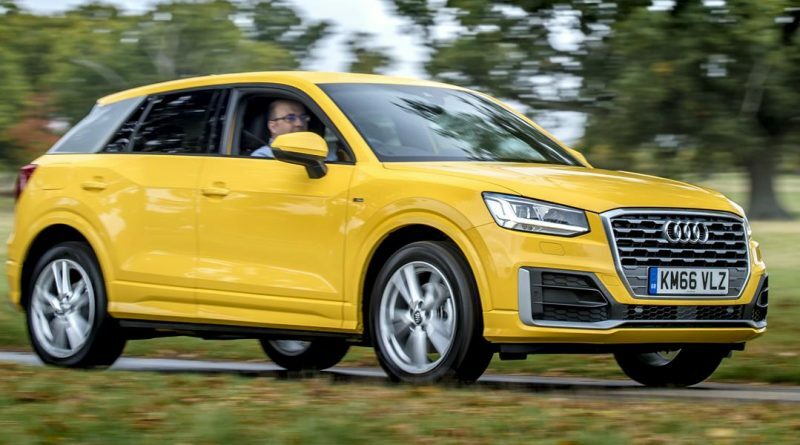 When we drove the Audi Q2 way back in August, we thought it was the near-perfect model for UK buyers. We are, after all, generally swayed by attractive cars (a box the Q2 ticks) from premium brands (hello there, Audi) and currently can’t get enough of the SUV. That’s all very well when you’re enjoying the sunshine on Europe’s perfect roads, but how does it fare on a cold winter’s day in Suffolk? As the early morning mist clears, the bright yellow Q2 stands proud. It’s certainly distinctive, and the fact that it doesn’t quite follow the standard and somewhat repetitive Audi design language is a good thing. That C-pillar blade adds a talking point, and one that can be specified in various colours, but it does interfere with rear visibility. That’s just about the only thing wrong from the inside. Audi’s quality control is top-notch, once again, which means that the materials chosen feel suitably luxurious while it’s all bolted together with a strength that would make Eddie Hall jealous. This test car is fitted with Audi’s Virtual Cockpit, an all-digital instrument binnacle that allows drivers to choose between traditional dials, sat-nav displays, music information and much more, the screen swooping details around to display what’s important. 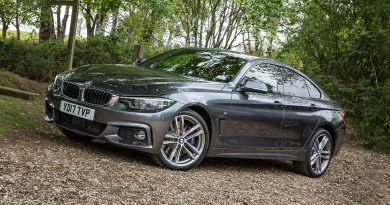 It’s an expensive option at around £1,500, but includes an improved infotainment system, satellite navigation and in-car Wi-Fi, so might just be worth it. It’s a shame that the heads-up display is a cheap pop-up piece of plastic. It’s the cheap solution to providing that floating display, and it does work, but it jars with the otherwise suitably premium interior. That interior is spacious enough for adults up front, where the (again, optional) colour changing dashboard highlights add a sense of occasion to proceedings, but it gets a tad tight for leg room in the back. The boot is a good size, although there’s quite a lip to lift things over. The engine’s a good size too, being a 2.0-litre turbocharged diesel unit. There’s 148bhp to play with, making it the most powerful model in the range, at least for now. There will undoubtedly be a far hotter SQ2 or even an RS model, but for now it’s just this economical diesel you get tp have fun with. Only, it’s not actually that much fun. 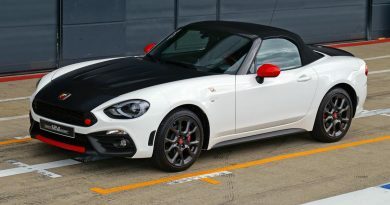 That power goes through a seven-speed twin-clutch automatic gearbox, but the box seems to run a little behind the driver, never quite managing to be in the right gear at the right time. Once it’s found a gear, the power goes through to all four wheels thanks to Audi’s quattro all-wheel drive system. This ensures safe and predictable handling, but the extra weight blunts performance, leading one to wonder where all those horses have scampered to. There’s a 1.0-litre petrol option available, with it’s tiny (and lightweight) three-cylinder engine producing 115bhp, and that feels every bit as lively as the larger diesel – there’s only front-wheel drive there, further reducing weight and introducing a bit of entertainment. It’s no sports car, of course, but by sharing a lot of its underpinnings with the popular A3 hatchback, the Q2 holds on to corners well. The extra ride height and body mass doesn’t upset things, but the car remains resolutely sensible rather than engaging. Push too hard and understeer eventually appears, although countless driving aids will do their best to keep you on the straight and narrow. Switch the Drive Select system to Dynamic mode and the steering gets more direct, the throttle response gets sharper and the gearbox shifts ratios more quickly. It makes its way through some country roads as well as many a warm hatch might, but still you can’t help but think that a Mini Countryman will be more fun. The Q2 ride is pretty firm to allow those shenanigans; there’s a tendency to follow tracks in the road, or send through details of bumps that some other cars might ignore, but never intrusively so. Bigger wheels make matters worse though, so choose spec levels carefully. That holds eve more true once you see the pricing. The range starts at just under £21,000, but this top-spec S-Line model comes in at £31,080, and that opens up a lot of other capable SUV options. To compensate, running costs should be low with official figures suggesting economy as high as 56mpg. That’ll be optimistic for an SUV with four-wheel drive, even a small one, but if it’s economy you’re after then eschew the quattro system, drop to the 1.6-litre diesel, and you’ll get something that feels just as lively but will sip at fuel and leave you with around £6,000 in your pocket. Likewise, if it’s driving pleasure that you’re after, take a look at the 1.4-litre petrol model. 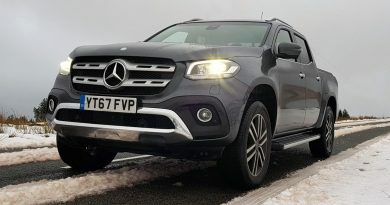 Resist the temptation to keep spending more and stick to the mid-range engines and front-wheel drive options (you’re not really going to go off-road, are you?) and the Q2 is the near-perfect car for the SUV-loving market. Audi knew it all along.